Washington is the center of the political, scientific and cultural life of the country. It keeps all the strategically important buildings, as well as many interesting iconic sights. However, besides the charm of historic places, Washington offers an excellent selection of shops: huge malls, boutiques, markets and shopping centers are located within walking distance from the world political arena. Enormous shopping outlets are waiting for visitors and are located in almost all areas of the city. Most of them are easily accessible by metro. Although in order to make shopping really easy and enjoyable, you can use Enterprise DCA Airport car rental. What’s more, in this case you’ll be independent from public transport and will be able to visit all the local shopping places at once! 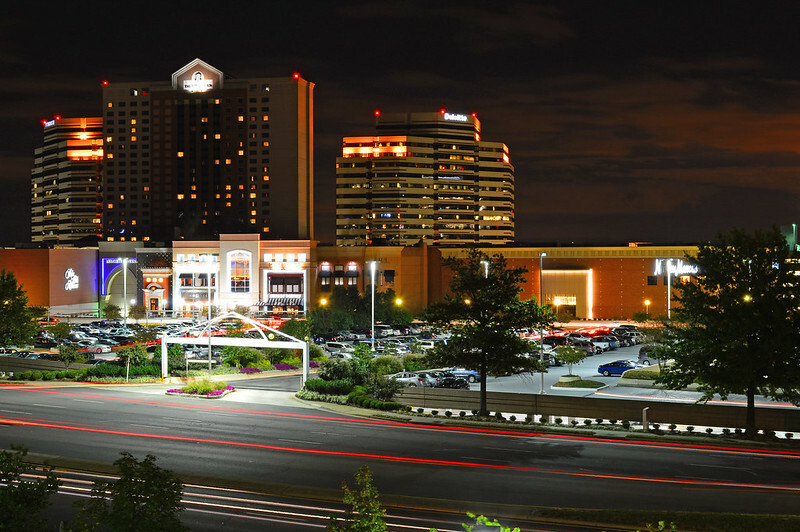 Arundel Mills Mall is one of the most imposing local shopping destinations. The store is located approximately 55 km away from Washington DC, in Hanover, Maryland, near the Baltimore/Washington International Airport. You can get there from the American capital by bus, taxi or rental car. On the territory of the shopping center there are numerous shops selling clothes and shoes, jewelry and leather products, perfumes and cosmetics, electronics, sports and household goods and much more. Prices in the shops of Arundel Mills Mall are very different, but in this store you can buy goods with significant discounts. 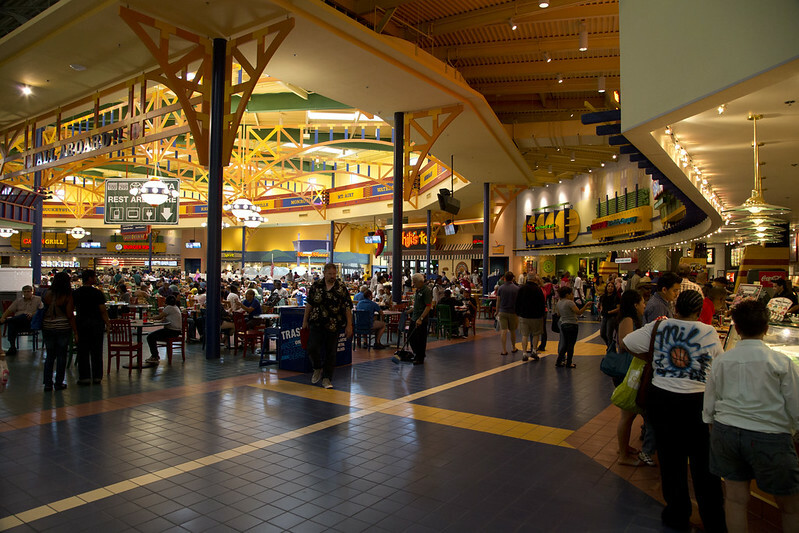 Food court, various restaurants and a cinema are also provided on the territory of the shopping center. Tyson Corner Center is the largest mall in Washington DC. The shopping center is located 11 km away west of the city, behind the ring road. Many local hotels offer shuttle service to the store. On the territory of the shopping center there are more than 290 stores of men’s, women’s, children’s clothes and shoes, cosmetics and perfumes, jewelry, electronics, furniture and others. Tysons Corner Center is the place where such well-known and popular stores in Washington as JCPenney, Bloomingdale’s, Lord&Taylor, Hecht’s, and Nordstrom were opened their branches. The shopping center is so huge that you can spend almost the whole day there, visiting various shops. On the territory you’ll also find a cinema, restaurants, cafes, and a children’s playground. Prices in Tysons Corner Center are reasonable, but if you want to buy brand and high-quality clothing, then it will be hard to find a better place. Near the shopping center, across the street, there’s the Tysons Galleria with many fashionable boutiques of the most famous brands. 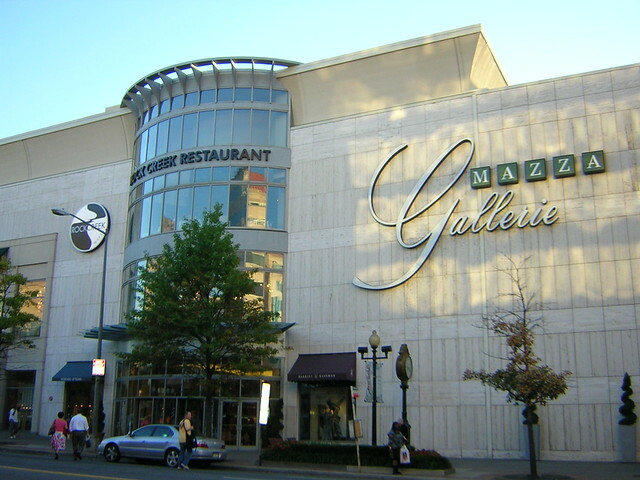 Mazza Gallerie is a four-story mall with numerous shops offering clothes, shoes and sporting goods, fine jewelry and leather goods, elegant furnishing and beautiful bedding, tableware, as well as amazing chocolate products and the best truffles in Washington. 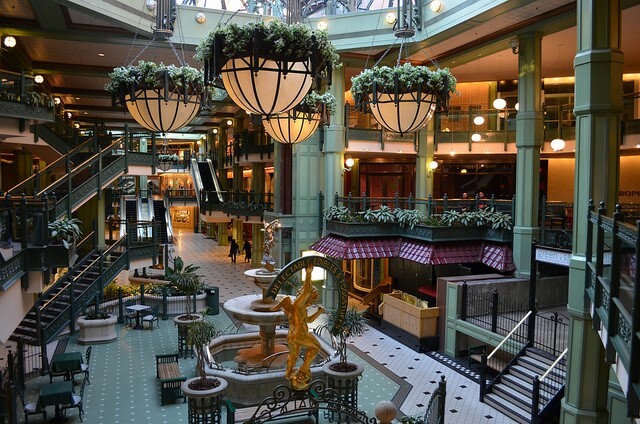 A variety of shops offered in Mazza Gallerie will give you a lot of pleasure. The shopping center is located in the northwest of the city. You can get there by subway at Friendship Heights station (red line). If you get hungry, on the territory of the shopping center there are cafes and McDonald’s. Union Station is a row of shopping stores consisting of 130 boutiques of clothing, shoes, jewelry and accessories, gifts and other various goods. 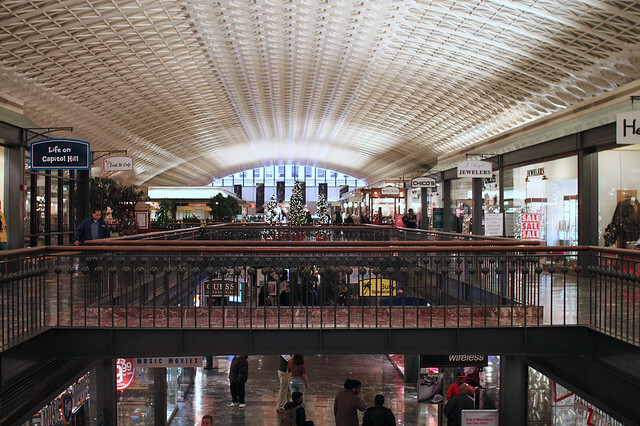 Union Station in Washington is very popular among shoppers. The shopping center is located in the city center, in the building of the railway station. You can get there by subway at Union Station (red line). This destination provides different promotions, as well as cultural events. On the territory of the shopping center there’s a food court, restaurants, and a paid parking, which is ideal for car travelers. Prices in Washington’s stores are reasonable, and in this mall goods are slightly cheaper than in other stores. 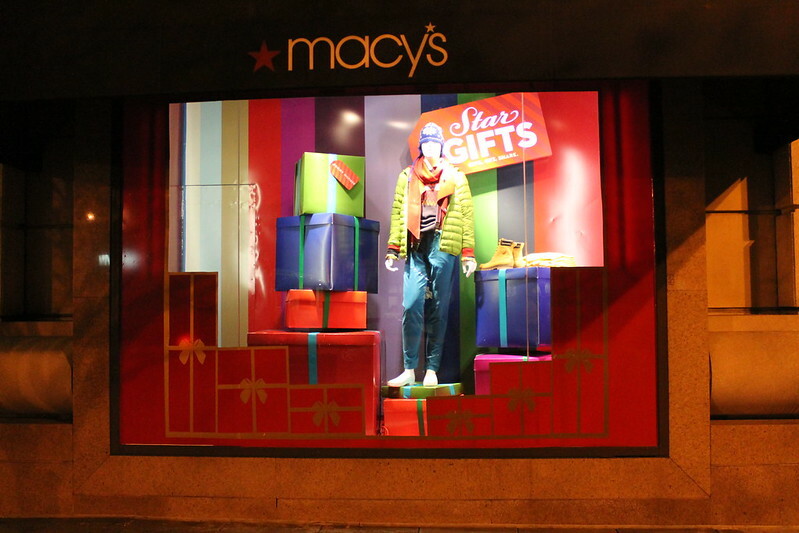 Macy’s is a very famous and popular department store in America. It is located in the city center, and you can reach it by metro at Metro Center Station (blue, orange and red lines). In a large department store, you can buy anything: clothes and shoes for men, women and children, jewelry and leather products, household goods, furnishing, underwear — it’s just impossible to list everything presented in Macy’s. Its numerous stores can offer visitors a wide range of goods to suit any needs. You can spend there almost the whole day, walking through the vast territory of a department store and searching for fashionable clothing. Prices in Washington’s shops are affordable, and in this department store you can purchase both expensive high-quality branded goods and goods at a discount price. Numerous guests of the capital enjoy visiting this department store situated in Washington DC.